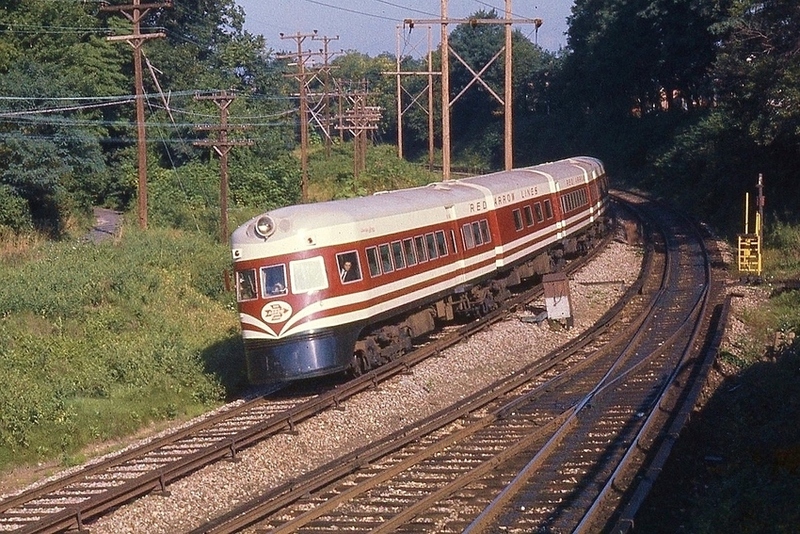 A morning rush hour Liberty Liner, headed for 69th Street terminal, is coming to a stop at Bryn Mawr, Pennsylvania. Photographed by Ken Patton, August, 1965. Added to the photo archive by Ken Patton, August 5, 2018. Railroad: Philadelphia Suburban Transit Company.